The Promise Scholarship, funded by and in partnership with the incredible Caerus Foundation, provides financial support for higher education for low-income youth in HACC programs. The scholarship essentially covers tuition –$40,000 for a four-year college and $20,000 for a two-year college. But in addition to the funding, Promise Scholars have the crucial support of a HACC mentor to support them. And that’s Ayesha Mirzakhail. Ayesha, HACC’s Scholarship Manager and Job Developer, manages 16 active Scholars. “I asked Scholars ‘Are you getting support?’ and they said not from family because they don’t understand the process. So we serve as mentors,” said Ayesha. A former Promise Scholar herself, she graduated from Grinnell in 2013. Like Ayesha, whose family is from Afghanistan, about half of the Scholars are from immigrant households. Many are the first in their family to attend college, like Safa, 21, a current Scholar in her junior year at Truman College in Chicago. She comes from a Pakistani immigrant family. “My parents struggled so much to pay rent and pay bills, so there is no way they could have paid for my college. 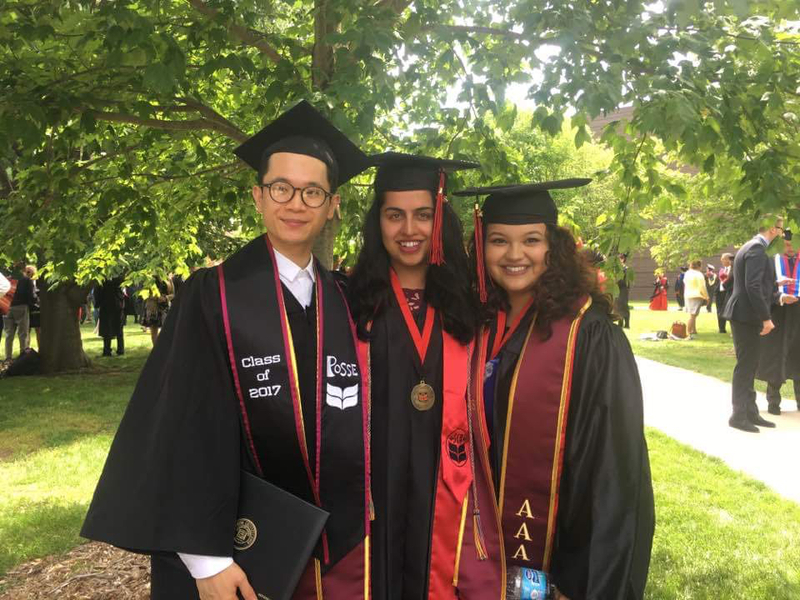 So this money and financial aid is the only way that I can go to school and focus on my grades and not working and freaking out about loans,” Safa said. She also said this helps her maintain her mental health and balance her life. Unfortunately, most Scholars still have to work part or full-time to support themselves and their families. In response, the HACC Youth Center provides emotional support, tutoring, and workshops on budgeting, time management and applying for Free Application for Federal Student Aid (FAFSA). 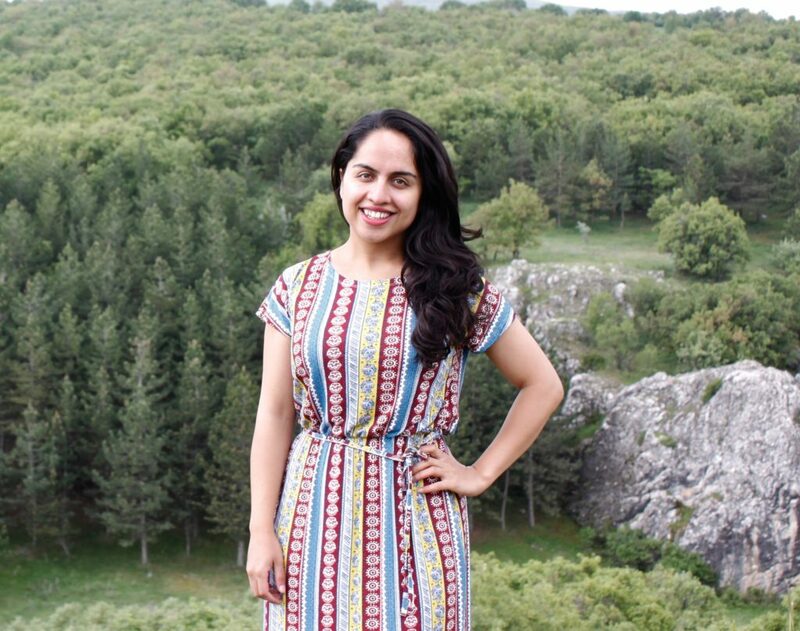 Ayesha said when she attended Grinnell as a Scholar, she needed all of the support that she could get. It felt hard to fit in surrounded by wealthy and/or white students who might not understand her struggles. In a 2017 article in The Atlantic, a report stated that 95 percent of colleges are unaffordable for middle class and low-income students (who are typically students of color, like a majority of the Scholars). Safa, in the green shirt, with her partners in student government at Truman College in Chicago. “They [other students] had parents who had jobs lined up for them by graduation. For us, the low-income, we had to build our resumes, and work, and make the connections, and get hired…You can get into college, but staying in college is a whole different game,” she said. Safa is extremely motivated. She graduates in 2019 and is looking forward to a stable and exciting career in computer science. “I love it, it’s really fun, I just love how technology continues to grow and I’d like to be a part of that,” she said. Ayesha is also enthusiastic about guiding the Scholars and seeing them accomplish their dreams through the Promise Scholarship. “It’s humanizing. They’re not a number, they are actual students who struggle,” she said.